Moshe was instructed to “command”  the commandment of preparing and kindling the candelabra in the tabernacle. We have been taught that the word “tetzaveh” (“command”) has the same numerical value as the term ‘nashim tzivah’, meaning ‘the women are commanded’, hinting at Shabbos candles . But apart from also being candles, what does the commandment to kindle the candelabra in the tabernacle have to do with the Shabbos candles? Zalman Eran was the minister of education in Ben Gurion’s government. Although he was irreligious (!) his wife was from a traditional family and lit Shabbos lights every week. She was also aware that it was an auspicious time for prayer and so she would also pray that her descendants become great… like Ben Gurion – the only ‘great’ person she ever heard her husband mention! There was a historical meeting between the greatest Torah leader of the generation, the Chazon Ish of blessed memory and Ben Gurion. 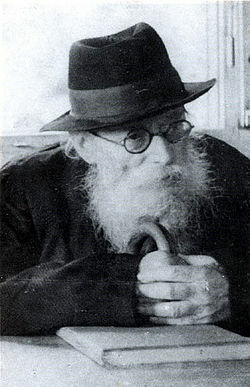 A meeting of opposites: the Chazon Ish even removed his spectacles before the meeting so that he would not be able to properly see the face of the man responsible for leading astray tens of thousands of Jews from their religion. Nontheless, Ben Gurion was so impressed by the Chazon Ish that he commented of his exceptional greatness to Zalman Eran. When Zalman Eran related to his wife of how the ‘great’ Ben Gurion praised the Chazon Ish she listened carefully. Why settle for the ‘greatness’ of Ben Gurion for her descendants when even he admitted the Chazon Ish was greater? And so, from then on, at candle lighting time, she stopped praying that her descendants become ‘great’ like Ben Gurion, but instead that they be educated (‘chinnuch’) like the great Chazon Ish! And it was to this story that R’ Baruch Hyman, grandson of Zalman Eran, attributed his success! 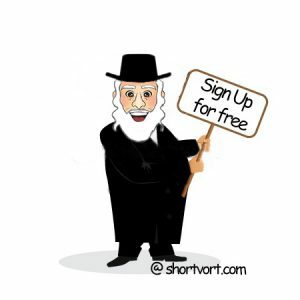 Why is Shabbos lighting time such an auspicious time for prayer? We have been taught that the commandment to kindle the candelabra in the tabernacle was supposed to provide a consolation to the Kohanim for their lack of participation in the inauguration (‘chinnuch’) of the tabernacle . But the question is asked how this lighting provides a consolation more than any of the other, seemingly even more significant, unique roles of the Kohanim . Furthermore, perhaps a banana can provide a consolation for a person who has lost an apple, but not a person whose business has just been burned to smithereens! A true consolation must console: it must be at least somewhat commensurate with the loss. So if the Kohanim felt left out from the inauguration of the tabernacle, how would they be consoled by kindling the candelabra after the inauguration? Indeed “Make for Me a sanctuary” G-d commanded, “and I will dwell in you” . G-d did not promise ‘I will dwell in it (the sanctuary)’, but rather “I will dwell IN YOU” – every Jewish home is like a mini-temple! When the lady of the house lights the Shabbos lights in her home, it is tantamount to the lighting of the candelabra by the Kohen Gadol in the Temple! She is inaugurating (‘chinnuch’) our family and our house: our mini-Temple! When the Kohen Gadol was in the height of his Divine service, he… prayed for the welfare of others! But his prayers were cut short so as not to alarm those who were awaiting news of his successful service . So too Shabbos candle lighting time is also an auspicious time for prayer… and there is no rush either! Why is Moshe missing from this Parsha? Who will build the 3rd beis hamikdash?